In his piece, Parrott seeks to dispel the notion that the three proposals are “entirely different versions of reform,” saying instead that “they actually share a great deal and…deciding among them is not prohibitively complex, but a matter of assessing two or three key differences.” He identifies those differences as “what to do with Fannie and Freddie,” and whether the Common Securitization Platform or Ginnie Mae should be used to issue mortgage-backed securities. He also states that among the features common to each proposal is that they “distribute all [Urban Institute and Milken Institute] or most [MBA] non-catastrophic credit risk” to capital market investors “at time of origination or after pooling” [bold type in original]. That is, all three proposals—which Parrott claims represent “dominant versions” of the “strong majority view” on mortgage reform—rely exclusively or extensively on risk transfer mechanisms to absorb credit risk. Except that’s not what happened. What happened was that our last experiment with “transferring non-catastrophic credit risk to capital markets investors”—private-label securitization—resulted in Fannie and Freddie losing their ability to set national underwriting standards. This led to the quick collapse of those standards (while regulators stood by passively), and a subsequent flood of easy credit that pushed housing activity and home prices to unsustainable levels, from which they inevitably collapsed. Fannie and Freddie were pulled into this vortex as were commercial banks, but unlike the banks—whose mortgage credit loss rates were triple those of the companies—Fannie and Freddie were not thrown lifelines; Treasury effectively nationalized them, without statutory authority and against their will. A fictionalized version of the financial crisis is a useful device to avoid having to compare the Fannie and Freddie model with the risk-transfer model, and a written advocacy piece also affords the luxury of being able to discuss the risk-transfer model at the 36,000-foot level, where there is no visibility of what would have to happen for it to operate successfully on the ground. But when mortgage reform efforts in Washington get serious and focused, and Secretary Mnuchin becomes fully engaged with them, neither fiction nor vagueness will suffice. With the fate of a $5 trillion market at stake, the Fannie and Freddie model, the risk-transfer model and other models will be reviewed and analyzed in meticulous detail by people with real world mortgage experience. Under that scrutiny, the flaws and unworkability of the Urban Institute, Milken Institute and MBA risk-transfer models will be apparent. I’ve written extensively about securitized credit risk transfers (CRTs), focusing primarily on Fannie’s Connecticut Avenue Securities, or CAS, but I haven’t brought that work down to the ground level either. In retrospect, I should have. My three primary criticisms of CAS (and Freddie’s similar STACRs) have been that they are too expensive, Fannie has too much first-loss exposure before they take effect, and because the risk-transfer tranches can prepay and amortize over time, they are unlikely to be outstanding long enough to absorb many of the losses that exceed the first-loss limit. My source for this last claim was the risk sensitivity tables in Fannie’s CAS prospectuses, which show virtually no losses transferred to investors in 64 different scenarios of combined credit loss and prepayment rates. But as a commenter on this site recently pointed out (and I thank him for that), Fannie’s loss sensitivity tables “assume that the Delinquency Test is satisfied” in each of the scenarios. In a severe stress scenario it would not be, which means Fannie’s sensitivity tables understate loss transfers in those scenarios, and thus are not a reliable measure of the overall effectiveness of CAS in absorbing credit risk. It is both surprising and disappointing that Fannie would publish tables in its CAS prospectuses that omit a key variable and thus understate potential loss transfers to investors, but since it does, the only way to realistically assess the effectiveness of CAS is to simulate their performance in an actual stress environment. I now have done that. I’ve taken Fannie’s book of business at December 31, 2007, by origination year, assumed all of its $2.53 trillion in single-family mortgages were covered by CAS risk-sharing tranches upon acquisition, then analyzed that book’s credit performance through the end of 2016—specifically, which origination years took what losses, and whether CAS investors or Fannie would have picked them up. Before I get to the results of this exercise, I should summarize how the current CAS structures work. Fannie takes the first 100 basis points of credit losses on each insured pool. (Recently it has begun sharing a portion of those first losses on a pari passu basis with investors, but the price it pays for this loss sharing—more than 12 percent per year—makes the economic effect little different from keeping all of the credit risk itself.) If cumulative credit losses on any insured pool exceed 100 basis points of its initial unpaid principal balance (UPB), those losses are transferred to the holders of the CAS M-2 tranche until either cumulative losses exceed 275 basis points of the initial UPB or the M-2 tranche is paid off. If losses exceed 275 basis points of the pool’s initial UPB, they are transferred to holders of the CAS M-1 tranche (assuming it’s still outstanding) until the loss rate reaches 400 basis points. Above 400 basis points of the initial pool UPB, Fannie takes all further losses. Both the M-1 and the M-2 tranches are reduced by prepayments and amortization in the insured pool, unless the Delinquency Test is not met. In that case, the tranches no longer pay down with prepayments, although they do continue to be reduced by amortization. There is a complicated formula for determining when the Delinquency Test is not met, but it can be approximated by when the six-month average of the 90-day delinquency rate for any pool exceeds 1.5 percent. With that as background, here are the key findings from the CAS stress exercise, using actual Fannie data. Through 2016, the $2.53 trillion in single-family loans Fannie had on its books at the end of 2007 suffered a total of $85.4 billion in credit losses. Of these, $27.4 billion would have fallen below the CAS first-loss threshold of 100 basis points (and been absorbed by the company). Of the $58 billion in losses above that threshold, fewer than half, or $28 billion, would have been absorbed by holders of either the CAS M-2 or M-1 tranches; $15.9 billion in losses would have fallen within the coverage range of the CAS tranches but not been transferred to them because they would have paid off, and a further $14.1 billion would have been above the CAS coverage maximum of 400 basis points of initial UPB. Thus, even were Fannie to have insured all of its 2007 single-family loans with CAS risk-transfer securities—i.e., were it to have fully adopted the “risk-transfer model”—it still would have had to cover more than two-thirds of its $84.5 billion in losses with a combination of revenues and equity capital. It’s also instructive to examine these credit losses, and their coverage, in groups: loans from the 2000-2004 origination years taken together, and loans from 2005, 2006 and 2007 individually. (We can safely ignore the small remaining number of pre-2000 loans). The 2000-2004 books had an aggregate initial UPB of over $3.7 trillion (the 2003 book alone was more than $1.3 trillion); its $11.1 billion in 2008-2016 losses represented a credit loss rate (credit losses as a percent of initial UPB) of about 30 basis points. Had Fannie been required to cover all of its 2000-2004 loans with CAS, it would have issued over $110 billion in face value of M-2 and M-1 securities, with interest payments in excess of ten billion dollars, but received no benefit from them. The CAS benefit for the 2005 book, with an initial UPB of $602 billion and 2008-2016 losses of $15.7 billion (a 260 basis point loss rate), would have been only somewhat better. Fannie’s 2005 CAS M-2 tranches would have picked up $4.3 billion in losses, but another $5.4 billion that fell within the M-2 coverage range would have kicked back to the company because those tranches would have continued to amortize to zero even after prepayments to them were suspended in 2008. Only for the very poor-performing 2006 and 2007 origination years would the CAS M-2 tranches have provided their full amounts of loss absorption ($10.3 billion and $9.3 billion, respectively). Yet because of rapid payoffs, the M-1 tranches would have provided no protection in 2006 (leaving Fannie to pick up all $6.8 billion in losses that fell within their range), and for the same reason the M-1 tranches would have absorbed just $4.1 billion of the $6.7 billion they should have taken in the terrible 2007 year. And that’s not the whole story. Credit losses in both years exceeded the 400 basis point CAS coverage cap, meaning Fannie would have picked up the $4.4 billion in 2006 losses and $9.7 billion in 2007 losses above that cap. So even in the two years when CAS were most effective, Fannie still would have had to cover far more credit losses ($34.9 billion) with its own revenues and equity than would have been transferred to CAS holders ($23.7 billion). One obvious conclusion from this exercise is that there is no such thing as a “risk-transfer model” in the real world. Even if CRT securities are issued against every guaranteed loan, a credit guarantor still has to cover all the losses on its good books of business, and a sizable majority of the losses on its bad and very bad books of business, with earnings or equity capital. CRTs can at best be a supplemental source of credit protection. In addition, compared with the Fannie and Freddie model of backing guaranteed loans with upfront equity, issuing CRT securities against all guaranteed loans is extremely inefficient. Interest payments on CRTs issued against high-quality loan pools—or pools that pay off rapidly—are simply wasted, whereas equity put up to back these same groups of loans can be used to cover losses elsewhere. Moreover, CRTs do not offer predictable coverage even for bad or very bad loan pools, because of their caps. The loss caps on CRTs (in the case of Fannie’s CAS, 400 basis points of initial UPB) apply to all loan pools. Just as these caps are too high, and wasteful, for most pools, they are too low, and insufficient, for the worst ones. As we saw with Fannie’s 2006 and 2007 books, once the CRT cap is breached on a bad or a very bad pool, a credit guarantor using CRTs has open-ended exposure to those pools’ credit losses, and can’t reach back to revenues from other pools to cover them. Yet the most damning argument against the CRT-based model is the extreme and unnecessary risk it would pose to the financial system. With this model, by the time a credit guarantor realizes how much equity it really will need to cover the losses on its worst performing pools in a stress scenario, raising that equity won’t be possible. When a CRT security is issued “at time of origination or after pooling,” the ultimate credit performance of the insured pool is both unknown and unknowable. In most years a credit guarantor will be able to cover its losses on good pools with retained earnings (guaranty fees, less administrative expenses and CRT interest payments), but in a stress scenario it will need large amounts of equity to absorb the losses on its bad or very bad pools. The insoluble real-life problem for a CRT-based guarantor is: as a stress scenario unfolds, how does it determine the amount of capital needed to survive it, and how would the guarantor then obtain that capital? Here again, our exercise with Fannie’s December 2007 book is instructive. With one brief exception, Fannie’s 90-day delinquency rate stayed within a range of 55 to 71 basis points from January 2003 through August 2007, while over that same period the company’s single-family credit losses averaged $0.5 billion per year. Then, in just 16 months, 90-day delinquencies shot up to 242 basis points in December 2008, on the way to a peak of 559 basis points in February 2010. At $14.0 billion per year, the average single-family credit loss for Fannie’s December 2007 book during 2008-2012 was nearly 30 times the average for 2003-2007. Had Fannie been relying solely on CRTs to protect that book, it would have had very little time to guess the magnitude of those 2008-2012 losses, and in a collapsing housing market no chance at all of raising the capital required to cover them. At the same time, the market for CRTs for its acquisition of new loans would have dried up as well. In “Clarifying the Choices in Housing Finance Reform,” Parrot leaves out the most important commonality of the CRT-based proposals from the Urban Institute, the Milken Institute and the MBA: none of them would actually work. The Fannie and Freddie equity-based model does. It relies on equity capital put in up front, not uncertain credit loss transfers in the future, and in the equity model, capital from the best books doesn’t disappear; it’s available to cover losses from the worst books. 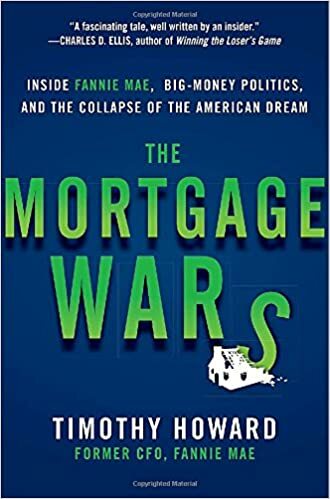 The Urban Institute, the Milken Institute and the MBA risk-transfer proposals may have superficial appeal to members of Congress and the media, but to mortgage market professionals they are desperate, and dangerous, attempts to argue against the only sure path to mortgage reform. Secretary Mnuchin is experienced with and understands the mortgage market. He can differentiate between a secondary market model that works and one that does not. When it comes time to make a call on how to structure the U.S. secondary market of the future—with his name attached to the outcome—there can be little doubt that he will make the right choice. “Q Mr. Secretary, in Congress it seems like in the Senate they want to do GSE reform before Dodd-Frank reform. Is that order you would support? And what do you think is the biggest holdup to getting a GSE deal? If anything is putting the taxpayers at risk it is lack of capital caused by the Net Worth Sweep. Sure hope that is what Mr. Mnuchin means. Maybe she just needed a job??? Curious as to your thoughts. Few things that jump out at me are 1) Fannie and Freddie would be rechartered and potential new companies could also be chartered to compete with them, 2) for transition, MBA says, GSEs would be put into receivership with most assets and liabilities transferred to new entities or the companies could create fresh operating subsidiaries, and 3) MBA says plan would likely lead to slightly higher mortgage rates for borrowers. I’m going to need to read and analyze the MBA paper before making any comments about it, but I suspect there will be enough in it to warrant my doing a new post. If so, I’ll get that post up as soon as I can–schedule permitting, hopefully sometime next week. Eager to hear your thoughts on this. Thank you Tim. I also look forward to your to your thoughts. Fannie Mae board member Adam Thorpe advocated for the MBA plan By refrenceing it on Twitter. When #Fanniegate started asking why a board member would advocate the destruction of the company he sits on the board of he deleted his post. Shocked? pagliara is justifying its books and records request, in part, on the need to determine whether fnma violated DGCL S. 170 with respect to NWS dividend distributions. S 170 says you can’t make dividend distributions except out of surplus, calculated as per S154 and 244 of DGCL, and expected current or last year profits. i suppose one thing pagliara seeks to confirm is whether fnma directors (or fhfa) ever considered S 170 when NWS dividend were distributed, especially the massive distributions, especially in light of the aggressive losses and reserves that fhfa established for fnma..
now, i understand your focus and this blog is to get reform right, but i thought you might have some sense as to the viability of this possible claim based upon your familiarity of the accounts. sorry, one more thought S 170 and dividend distributions. it is clear enough that fnma was directed to use the “net worth” calculation set forth in the NWS to calculate the dividend amount to be distributed. it would not appear that this calculation is based upon the Delaware statute (not surprising since fhfa seemingly hasnt conducted itself in accordance with Delaware law). the Delaware law itself permits directors to revalue assets (up) so as to create the surplus to make dividend distributions, but fhfa had been so aggressive in devaluing asset values that this might be a substantial Delaware law-based claim, in addition to that pursued by Hindes/Jacobs. I’m afraid I can’t be of any help in addressing “whether fnna violated DGCL S. 170 with respect to NWS dividend distributions.” That’s a legal determination, based on the facts and circumstances existing at the time those distributions were made. DGCL S. 170 never came up when I was Fannie’s CFO, between 1990 and 2004. We had ample current and anticipated profits along with a healthy surplus throughout that time, and our dividend decisions were driven purely by investor expectations and valuation considerations. The post-conservatorship Fannie board was operating under vastly different circumstances—economically, regulatorily and politically—and I wouldn’t want to speculate on how they might have been thinking about their dividend responsibilities. Thank you for posting this. I certainly was not aware of all of the legal antecedents for Count IV of the Collins case, which you clearly (and thoroughly) explain. I think this is a well done piece, written, as it says at the beginning, to counter “a broad conservative attack on federal housing policies.” Most of the readers of this blog know most of the facts the article recounts, but others do not, and the Center for American Progress (CAP) reaches a wide audience so it’s an important and a welcome contribution. Reading it, though, I can’t help but think about the misinformation dynamic. Simplistically, you can place the opponents of Fannie and Freddie into three groups: (a) those who believe the companies did in fact cause the mortgage and financial crises, and for that reason should be wound down and replaced, (b) those who don’t have a strong view about them, and (c) those who do know that Fannie and Freddie didn’t cause the crises, but are committed to eliminating them anyway because their goal is to give the companies’ secondary market business to the large commercial and investment banks. I think there’s a lot of resentment, jealousy and envy of the GSE’s in Washington, DC, if you couple that with greed you can see why so many want to falsely blame Fannie and Freddie for the mortgage crisis. This deception of denial, in my opinion, now extends to the majority opinion in the Perry Capital appeal. What type of power and influence do you think Ed DeMarco will have as the new head of housing policy at FSR? Would you be able to explain what type of threat that might pose to a reform plan that is not favorable to big banks? I expect that DeMarco will put a good deal of effort and energy into his new role–he is a zealous opponent of Fannie and Freddie and will be working for a trade organization, the Financial Services Roundtable, that represents large banks and other financial services companies and would dearly like to replace the companies with a bank-centric alternative. But DeMarco has two serious handicaps that will limit the influence he will have, and how much of a threat he will be to reform plans based around Fannie and Freddie: (a) as I discuss in this current post, the reform alternative he is offering (along with Michael Bright under the banner of the Milken Institute) and presumably will be advocating is naive, unworkable and dangerous, and the more scrutiny it gets the more apparent its flaws will become, and (b) he is trying to sell that plan to a fractured, divided and dysfunctional Congress which will struggle to pass anything remotely controversial, as mortgage reform certainly is. Having DeMarco as the head of housing policy at the FSR isn’t a good development, but it’s not one I see making much of a difference to anything that ultimately will matter. I still believe mortgage reform is most likely to happen through administrative action, and that if and when it does Fannie and Freddie will remain at the center of the future system because their business model has been proven to work. DeMarco’s avid objections to this will get media attention but shouldn’t have much effect beyond that, because he has little to offer other than fables about Fannie and Freddie, and fantasies about how to get rid of them. Do you think Trump/Mnuchin will publish their housing finance reform principles soon? Obama had some paper on it.) Although banking committee are working on the reform, Treasury is leading the effort. I don’t have any insight into that. If I were advising the Mnuchin Treasury, though, I would counsel against publishing anything at this point, and instead have them work behind the scenes to try to craft a proposal that meets the standards they’ve set (which I believe include workability, affordability and availability) and for which they think they have a chance of getting consensus. Publishing a white paper works against this because it tips your hand and gives advocates for different approaches something to lock in against and shoot at, while putting out a simple list of “principles” makes you look as if you’re not sure what you want to do. Do you think there are any deadlines for when Mnuchin must make a detailed proposal? If the administration wants to avoid a bailout then won’t they need to start taking action to have reform done before the bailout becomes mandatory? And isn’t some kind of reform necessary before tax reform kicks into place? No, I don’t. First of all, I think Mnuchin will make tax reform his main priority until the administration has a bill it is comfortable putting in front of Congress, and this work will be done independently of the impact lower corporate tax rates (assuming those are in the submitted legislation) have on Fannie and Freddie. Beyond that, though, it’s possible–and perhaps even likely– that Mnuchin would view what you call the bailout of Fannie and (probably) Freddie that likely would occur in the wake of tax reform not as a crisis but as confirmation of why the indefinite conservatorship of the companies needs to end. After five years of sustained profitability, the only reason Freddie and/or Fannie would need to take a draw from Treasury to offset the cost of the write-downs of their deferred tax assets is that Treasury has been taking all of their capital. A tax-reform related draw would tee that issue up, and perhaps create a forum in which alternative proposals for mortgage reform are considered seriously. As I’ve written previously, I believe the bank-centric proposals that have been offered as potential legislative vehicles– whether Corker-Warner, Johnson-Crapo or the latest trio of submissions that pretend you can substitute risk-transfer securities for shareholders equity– would fall apart under scrutiny by the Mnuchin Treasury, leaving administrative reform, release and recapitalization of Fannie and Freddie as the only practical path to get real capital back in to the secondary mortgage finance system, and prepare it for the downturn that at some point it will have to be able to weather. collins points out that the DOJ has argued in the linked brief before the DC Circuit Court that if an agency made a decision at the time its director was subject to an unconstitutional removal provision, the court must vacate the decision and remand for reconsideration by a constitutionally constituted agency…which is what collins itself argued in its brief in its claim iv. if judge atlas agrees with collins, she would vacate the NWS and instruct fhfa to reconsider the NWS once its director has been properly subjected to removal by POTUS at will. she may or may not makes this removal change herself by simply excising the removal for cause provision in HERA (which she may or may not decide she has the power to do given that HERA has no severability clause). if she does this, then what is there to keep fhfa director watt from simply approving the NWS again? nothing…except a political decision by POTUS that might be made in connection with an administrative GSE reform program. If judge Atlas does instruct FHFA to reconsider the net worth sweep (following a ruling that the August 2012 decision to agree to it was made by a director who was not constitutionally empowered to make that decision), it would be hard for Watt to justify agreeing to it again in light of what we now know about what drove Treasury’s decision to impose the sweep in the first place. At the time, Treasury’s public rationale was that the sweep was necessary to prevent the companies from entering a “death spiral” of borrowing to pay their quarterly preferred stock dividends. Documents since have been made public showing that Treasury knew this was not true at the time, and we also now know that, far from being on the verge of a death spiral, Fannie and Freddie made $158 billion in sweep payments to Treasury in the six quarters after it was imposed. Really the only justification Watt, as conservator, could advance for agreeing to the sweep again today would be, “We’ve got a ruling from the DC District Court of Appeals that we can take all of Fannie and Freddie’s net income forever if we want to, so we’re going to do that.” That’s not a great rationale politically. i am reminded of testimony watt gave to the house financial services committee, to the effect that the NWS agreement changed the law…and the questioner, perhaps it was mulvaney, saying that was backwards. i have no strong sense of the political vicissitudes but i would think that such a ruling by judge atlas would fit nicely with a segue by treasury into an administrative fix, since the administration would not be dissing congress and sen. corker by proceeding with an administrative fix at that point…something would need to be done by the administration because judge atlas had teed the nws up again. wondering aloud, if judge atlas rules that fhfa director watt must reconsider the nws, once she makes him removable at will by potus by excising the for cause provision, whether fhfa must, or plaintiffs could move to make sure that fhfa must, establish a new and current administrative record in connection with reconsidering nws? my point is that it might not be just a political/policy decision to reaffirm what was done in 2012, but rather an administrative decision today that must be made anew based upon current facts and new evidence. what facts that are current now (ie fnma has $10B in annual net income) would justify the nws in 2017? i dont see that this would be a do-over based upon 2012 facts, but a do-over based on current facts. i am not sure though. Right, he made a big point that he didn’t negotiate the terms, it preceded him. He also is on record having said that its hazardous not to let the GSEs retain capital, the very thing the 3rd amendment prohibits. Why end there? Why not also argue the 80% common stock give away as well? plaintiffs can argue this in the robinson, saxton and other cases on appeal, and perry could argue this in a cert petition to scotus, which with gorsuch as 9th justice, scotus might even want to take. I like the way you think, man!! I like the linkage of the majority opinion in the Perry Capital appeal barring judicial review of FHFA’s conservatorship with the unconstitutionality of the FHFA director; that leads to some very powerful arguments. Of course, my assessment counts for nothing; the Sixth Circuit (Robinson), the Eighth Circuit (Saxton) or the Supreme Court (assuming it takes the case) needs to come to the same conclusion. Just saying, Collins Count IV is fully briefed as of a week ago and has included in its arguments the nondelegation doctrine. ROLG – in the conference call sponsored by Barclays Special Situations group Hamish Hume indicated he felt the likelihood of SCOTUS agreeing to hear the case without a split ruling on the various cases was less than 20%. Any thoughts on his estimate? What are your thoughts about Craig S. Phillips’ increasing role in determining the fate of the GSEs? I ask as I just saw this new article today about him… As usual, all shareholders hope you will have a chance to talk with Mnuchin (and or now Craig too). Really hope this can be answered. A lot of people don’t know what to make of this, and his goals seem to be more important than Mnuchin’s given his position. I do not know Phillips, but based on his background I think he’s as good a choice for the position of special counsel to Secretary Mnuchin as could have been expected. For me, the two critical questions for evaluating the potential effect of Phillips’ involvement in the reform effort are: does he have a solid understand of the “big picture” in mortgage finance, and does he come into Treasury with an allegiance to the objectives of what I refer to as the Financial Establishment? On the first point, the fact that Phillips has been in positions of responsibility at Morgan Stanley (on the structured finance side) as well as Blackrock (in financial advisory, where Freddie Mac has been a client for at least two decades) has given him exposure to—and hopefully allowed him to learn the pros and cons of—both the securitization model and the entity-based model for secondary mortgage finance. And if there are gaps in his experience or inaccuracies in his knowledge base, Secretary Mnuchin should be able to help remediate them. The allegiance point would be more of a concern, simply because for the last eight years so many financial executives have used the myth of Fannie and Freddie’s “failed business model” and need for a “rescue” to talk themselves into advocating for replacements to the companies that favor commercial and investment banks. I don’t know if Phillips is one of those people, or if the experience and knowledge he gained at Morgan Stanley and Blackrock will allow him to see through the haze of misinformation about Fannie and Freddie and approach the reform issue with more objectivity. I certainly hope it’s the latter. Tim, I feel like you might have answered this in a previous post, but are there any consequences to the GSE’s once the Fed starts unloading their MBS off their balance sheet? First, I don’t think the Fed will “unload” its Fannie and Freddie MBS; it’s more likely that once it decides to reduce the $1.77 trillion in Fannie, Freddie and Ginnie Mae mortgage-backed securities it now holds (or its $2.24 trillion in U.S.Treasuries) it will do so by letting some of them mature or liquidate without replacement, instead of selling them outright. Either way, though, just as the Fed believed its purchases of those securities helped keep long-term interest rates (including mortgage rates) down, allowing them to run off or selling them should have the opposite effect. Fannie and Freddie will both be affected by this, to the extent that higher mortgage rates curb new home construction and home sales, and thus the demand for new 30-year fixed-rate mortgages (which the companies finance). There is one other possible indirect effect of the Fed’s liquidation of agency MBS that may weigh in Fannie and Freddie’s favor over the intermediate term. Since the conservatorship, Fannie and Freddie have been required to reduce the mortgages they hold in portfolio by over a trillion dollars. At their peak in early 2009, the companies’ combined holdings of mortgages in portfolio were $1.65 trillion. At the end of 2016 they were just $571 billion. In my view, the only reason this massive reduction in Fannie and Freddie’s portfolios didn’t push up mortgage rates is that the Fed was buying even more MBS at the same time as the companies were being required to shrink their holdings. Once the Fed also begins liquidating MBS, though, the absence of the Fed AND Fannie and Freddie as buyers of 30-year fixed-rate mortgages will be noticeable, and I believe will lead to higher mortgage rates. I’ve said several times before that I don’t think there is any realistic chance that Fannie and Freddie will be allowed to build their portfolios again, even if they are reformed and released from conservatorship. But in an environment in which 30-year fixed mortgage rates are under pressure because the Fed is withdrawing from that market (and possibly, at some point, even selling into it), mortgage reformers may become less willing to put the market under even more stress by attempting to replace Fannie and Freddie’s proven credit guaranty businesses with an untested alternative advocated by banks. Tim and/or Rule of Law Guy: What is your take on today’s FHFA/FNMA motion to dismiss the Pagliara Delaware case asserting that Fannie Mae is federally chartered and not incorporated in Delaware or any state. If this were to have legs, wouldn’t it be negative for Jacobs/Hindes? I seem to remember this issue has come up in the past and was dismissed as not a concern. This should be a straightforward question of fact. My understanding when I was at Fannie was that we WERE a Delaware corporation, although I can’t recall having seen any specific documentation to that effect. FHFA and Fannie Mae’s two reasons for asserting the contrary, however, seem weak to me. First, they say that “Pagliara’s sole basis for alleging jurisdiction is certificate [sic] of incorporation filed with the Secretary of State on August 21, 2002 for an entity called ‘Federal National Mortgage Association INC'” [emphasis in original], and go on to say that Pagliara challenged “Federal National Mortgage Association” (without the “Inc”). I have no idea what the 2002 filing was, but if Fannie Mae IS a Delaware corporation (as I believe it to be) the filing to that effect would have been done well before 2002 (and would not have included an “Inc”). FHFA and Fannie’s second argument against Delaware incorporation is that “[d]uring the period in which the 2002 Certificate was purportedly valid, Fannie Mae never described itself as a Delaware corporation or mentioned the certificate in any public filing.” That may be true, but it doesn’t mean Fannie is NOT a Delaware corporation. I have to believe that Myron Steele, former chief justice of the Delaware supreme court and counsel for Messrs. Jacobs and Hindes, not only knows whether Fannie is a Delaware corporation or not, but also knows where the documentation for such incorporation would reside. Let’s wait to see what he has to say about the issue. It doesn’t reside at the Delaware corporation entity search website, as most corporations that I’ve researched throughout the years do. Only the 2002 filling is available. For example: Coca Cola’s 1919 corporate records are found on the site. OTC markets keeps an updated database of corporate information. As of last night, when I looked, the corporation records for the GSE’s state they were incorporated in 1938 in the USA, rather than in a particular state as most publicly traded entities are. So.. as in so many other instances, when they want to be X they are, but when it does not suit then they are not. I think then that even though I am in Virginia, and till now have paid Virginia income tax, I will when it suits me – for tax purposes – just say for giggles, will follow Nevada laws since they don’t have income tax. Bet IRS would love that. But that is what they are doing. When Delaware is good for us we are Delaware, when it is not, we are not! Interesting and makes sense. Thanks. fannie has a federal charter. so in that sense, it is not a delaware corporation that has been chartered by delaware. however, fannie has elected to have delaware’s corporate law apply to it with respect to its corporate governance. so fannie is subject to delaware corporate law. this was clear in perry and has been clear in hindes/jacobs. so you can view this pagliara argument as a longshot. hindes/jacobs Ps and defendants fhfa and treasury have briefed extensively before Ps amended the complaint, and defendants have never asserted that delaware corporate law doesnt apply to fannie, though they have argued that delaware law has been preempted by federal law, which i think is weak. this attack on pagliara is different. it is not a preemption argument, it is a doesn’t apply argument. fhfa and treasury are asserting that when fannie said delaware corporate law applies, for some reason section 220 (inspect books and records) doesnt apply, since that applies to only “delaware corporations.” they are forcing the court to read this section 220 as applying only to a delaware-chartered corporation, and not the highly unusual situation where fannie has as a federally chartered corp has elected to have delaware law apply to it. Really going to show my ignorance here. My question pertains to the concern over a lower corporate tax rate reducing the value of unrealized losses carried forward. Why aren’t carried over losses simply subtracted from profits prior to applying any current tax rate? I’m obviously mistaken that losses simply reduce profits prior to taxing net profits. The concern over the timeliness of a new tax plan as it applies to corporate tax rate suggests to me a tax rate is first applied to such losses in order to determine their offsetting value, making a higher corporate tax rate more desirable with respect to the valuation of unrealized losses. Obviously I’m missing something rather basic. A lower corporate tax rate won’t reduce “the value of unrealized losses carried forward;” it will reduce the value of Fannie and Freddie’s deferred tax assets (DTAs). DTAs are caused by differences in the timing of when taxes are paid in cash to the IRS and when they are recorded on a company’s income statement. Fannie and Freddie’s accounting causes them to record many expenses sooner than the IRS deems them to be deductible from revenues, and to defer many revenues beyond the time the IRS deems them to be taxable as income. Because of this fact, Fannie’s and Freddie’s cash tax payments have consistently been significantly greater than their recorded book taxes since they have been in conservatorship, giving rise to the large dollar amounts of DTAs they now carry on their balance sheets. If the corporate tax rate is cut, Fannie and Freddie will turn out to have paid some of their taxes at “too high” a rate (i.e., the rate that was in effect when they paid those taxes in cash to the IRS), and will have to write off the difference in the dollar amount of taxes already paid to the IRS and the lower dollar amount they now can record on their books based on the new, lower corporate tax rate. In your opinion & if you were advising the Administration, is it better to set the narrative publicly a few months prior to implementing reform of the GSEs, or is it wiser to take action decisively when path forward is determined behind closed doors, alleviating speculation and reducing pushback? I don’t think there’s any one right way, because there are too many variables. Assuming that Mnuchin continues to lead the effort, which I do, if I were advising him I would suggest that he start by talking to interested parties–members of Congress, trade groups, think tanks, etc– (a) to make sure he understands their views and objectives, and (b) to see if there is the possibility of a consensus as to what to do. (I believe he’s already doing this.) Depending on what he learns from these meetings, his first decision point will be whether to go for legislative or administrative reform. For Mnuchin to decide on a legislative reform strategy, he would have to believe that there IS a consensus on how to do mortgage reform, that this consensus is both a good idea and workable (I would note that there are many plans now being discussed that are neither), and that there is a decent chance of getting enough factions in each party of each branch of Congress to come together to pass it. I personally think that’s a long shot. But if that happens, then Mnuchin would be wise to go public with the plan and start selling it. If he thinks sensible legislation is unlikely, however, then he should work on his own administrative plan–which by definition would involve reforming, recapitalizing and releasing Fannie and Freddie–behind closed doors. That doesn’t mean not talking with people about it; he should do that, but with key stakeholders (including members of Congress) in private, not publicly. Among those stakeholders, obviously, would be the plaintiffs in the lawsuits against the government for its actions with respect to Fannie and Freddie, since these suits would need to be settled before the reform plan could be implemented. It probably would make the most sense to announce the administrative reform plan and the settlement of the lawsuits simultaneously. If for Mnuchin settling with plaintiffs is wise, then how can Corker (and those like him) be engaged, in any meaningful way that is. Senator Corker is advocating and hoping for legislation that will “wind down” Fannie and Freddie and replace them with a more bank-centric secondary market mechanism. He has said previously that the lawsuits are a problem that exists irrespective of what Congress chooses to do in reform. That view, however, betrays the fact that he does not want the companies as currently structured to play a role in the secondary market of the future, because if the companies ARE preserved as shareholder-owned entities the legal challenges brought by their existing shareholders will need to be resolved. refers to congress “could perhaps” recap “significantly” reformed GSEs. this could be a head fake of course, but it seems to me this is the first time corker has associated his name with anything that keeps GSEs as part of reform. I saw that. Coming from the Senator who said he would “throw his body in front of a train” (citing from memory–may not be his exact quote) to prevent the recapitalization and release of Fannie and Freddie, I find the sentence in the Corker-Warner et al letter to Director Watt saying “Congress could perhaps determine that it is appropriate to recapitalize significantly restructured enterprises” much more likely to be an attempt by Corker to insert himself into the dialogue over administrative reform being led by Secretary Mnuchin than to be a legitimate softening in Corker’s opposition to Fannie and Freddie having any role in the mortgage finance system of the future. I’m curious as to your thoughts about the letter that the Senators sent to Watt this week. It seems that they are going on the defensive while trying to plea their case as they acknowledge that Mnuchin and Watt wield the power / may act unilaterally whenever and if they choose to in regards to the future of the GSE’s. And they make it clear that they cannot stop such an action. Doesn’t logic suggest that these 5 Senators along with the opponents want the capital to be drained so that another draw is required thus their narrative holds that the business model is flawed and can help push through their false reform agenda? Thanks again for your honesty, decency and integrity which is in short supply in this debate and much needed. My kids can hardly believe that this is what our country’s “leaders” can do. Excellent work! Thank you. Very encouraging indeed. ROLG: I appreciate your posting this. I found it to be a very clear analysis of the three different legal paths that ultimately could lead to reversal of the net worth sweep (the fourth path–through Judge Sweeney’s Federal Court of Claims–won’t result in a reversal of the sweep even should plaintiffs prevail) and I would encourage everyone who follows this site to read it. For what it’s worth, I agree with your ranking of the relative probabilities of success for the three paths. From the time the Delaware suit was filed I thought it presented the cleanest and least complicated way to get a judgment against the sweep, provided Judge Sleet was willing to step up to the issue. A reversal of Lamberth’s DC District Court decision had been my second favorite, but February’s surprising (and perplexing) appellate court ruling pushed that back to a distant third, requiring, as you point out, one of the other District Court cases to be decided in favor of plaintiffs on appeal, followed by an appeal to, and favorable ruling by, the Supreme Court. That leaves the Collins case in Texas–with its likelihood of a successful challenge to the constitutionality of the structure of FHFA’s directorship–as the best backup to the Delaware case. The N.D. Iowa just issued an opinion today to dismiss the Saxton complaint. Similar to the Perry ruling, Plantiff’s are barred by HERA’s anti-injunction provision. ROLG what does this mean exactly? Is Treasury breaking with FHFA? in short, yes. treasury has done a 180 in the past month in collins re collins argument IV. this was a circuitous and even rancorous way of saying that treasury disagrees with fhfa on the constitutionality of the removal for cause provision. it’s as if the senior DOJ official instructed the staff to change position in collins to mirror position in phh, and the lower staff wrote the reply in the most oblique manner he/she could. unlike in phh, treasury appears to intend to say nothing more about the matter in collins. 1 Treasury also joins in FHFA’s request that the court dismiss Plaintiffs’ separation-of- powers claim (Count IV) for the reasons provided in FHFA’s Opposition to Plaintiffs’ Motion for Summary Judgment, filed on February 27, 2017.
just one more thought re why treasury was so oblique. this is my best guess. phh and fhfa are distinguishable insofar as phh director as a single director was not only not removable at will, but also could draw on fed funds to pay its bills rather than seek budget appropriation from congress. fhfa director shares only in the former prong. so treasury was faced in collins with whether it should argue that fhfa director is unconst based solely on the removal prong. it seems treasury stopped just short of this, but went far enough to make clear that it no longer argues along with fhfa that removal for cause is affirmatively constitutional. Although Tsy may have given up the ghost on that one, DoJ remains unmoved and FHFA hasn’t stopped claiming immunity. Maybe Tsy remark is a baby step. If HERA/FHFA is found to be unconstitutional in a court of law then how may it affect all judgments that have been made against shareholders dating all the way back to 2008? Once again, I’m not a lawyer, but I suspect that if a judge does find the single director removable for cause provision of HERA to be unconstitutional, he or she also will have a stated or proposed remedy. I have no basis for speculating about what that remedy might be, however (there are many possibilities), so I’ll wait to see what happens. This is a narrow appeal. The institutional plaintiffs (Fairholme and Arrowood Indemnity) are seeking a hearing to reconsider the majority ruling that for technical reasons the institutional plaintiffs had forfeited their right to participate with class plaintiffs (represented by Boies Schiller) in the remand of the common law claim of breach of contract to the lower court. Neither the institutional plaintiffs nor the class plaintiffs are asking for a hearing to overturn the decision affirming the legality of the net worth sweep. Are they seeing something that we cannot see? Did Ginsburg make us a favor? I wonder if this breach of contract may lead to an outcome that we still cannot picture? Hi Tim , is there any way to save the DTA from a possible tax cut ? and if there is a tax cut , when do you think that it will be effective ? in 2017, or in 2018, or even further ? As I noted in my previous post (“Deferred Reform, and Deferred Taxes”), if I were at Fannie or Freddie I would be looking at the accounting choices made on behalf of the companies by FHFA since the conservatorship, to see which ones might sensibly be changed to bring the book accounting treatment of the associated expenses or revenues more into line with the treatment of these items by the IRS, thus reducing the DTA related to them. There is no mystery about the timing of any reduction in the value of Fannie’s and Freddie’s outstanding DTAs– it will take place during the quarter in which tax reform is enacted, irrespective of the effective date of tax reform. Whatever DTAs the companies have at the end of the quarter in which tax reform is enacted (assuming that it is, and I would be remiss in not noting that the current travails of health care legislation have reduced the chance of tax reform being enacted at all), those will be written down in proportion to the decline in the corporate tax rate (e.g., by 28.5 percent if the new corporate tax rate is 25 percent, compared with today’s rate of 35 percent). Since you brought up the whole health-care debacle, curious what your thoughts are here and how it will effect the Administrations plans for enacting tax reform this year. Mnuchin said in an interview this morning that he is optimistic that tax reform will be accomplished by August. I have also read that its possible to bypass health-care reform for the time being if the vote fails today and move on directly to tax reform, “If it loses, we just move on to tax reform,” – Chris Collins. Might be better not to speculate as we should find out shortly. Separately, when Mnuchin was asked this morning how the Administration plans to fund the $1T infrastructure plan, he mentioned that there are multiple ways to accomplish this, including private-public partnerships. I can’t think of a more lucrative public-private partnership than the GSE’s today due to the warrants. The Administration has the potential to realize over $100b in value through its GSE warrants if they were to properly reform, recapitalize, and release the GSE’s back to private shareholders. Do you see the potential value in the warrants as a driver that might push the issue? Tim, in your view, what is the worst case scenario wrt how the GSEs are managed by this administration, that is within the realm of realistic possibility? You’ve explained on this blog how “promising road” proposals don’t work in the real world, so I presume you’d rule this out as a realistic scenario, given that Mnuchin is in charge. Is there an alternative scenario that you see Mnuchin possibly pursuing, that is adverse to the GSEs? I know you can’t speak for the Ps, but do you have a general sense of what keeps them up at night? I’m not quite sure what you’re asking. If you’re asking about the worst-case scenario for investors in Fannie and Freddie, I would say it’s losing all the lawsuits, and all appeals on them. That would leave Fannie and Freddie with no capital, no ability to retain earnings, and Treasury with a $187 billion liquidation preference in the companies. But if the government is going to keep the existing companies as the basis of the secondary market system going forward, it’s in the government’s own best interest to treat existing shareholders fairly. Otherwise, what new investors would provide the capital necessary to get the reformed version of the companies going? Still, there ARE reform alternatives that involve liquidating Fannie and Freddie, and replacing them with financing mechanisms that do work, but would provide access to a limited number of borrowers at higher cost. I’m not inclined to outline what these might look like—I’ll wait for others to do that, then critique them—although one that falls into that category is Mark Calabria’s “originate to hold” model, which would go back to having depository institutions be the source of the majority of single-family mortgages. We tried that once before and got two savings and loan crises (one in the late 70s, and a second in the late 80s), so I’d be surprised if we tried it again. But you certainly can’t rule it out. no one wants calabria’s originate to hold program other than calabria. not even the banks. days of pay 3% to depositors, lend mortgages at 6%, and play 9 holes in the afternoon are gone along with ozzie and harriet. I make a distinction between reform plans that literally will not work– that is, if implemented would ultimately result in either a failure of the system or significant nonrecoverable costs to taxpayers–and plans that provide less available or affordable secondary market financing than could be achieved from some different alternative. Another unworkable system that I fear is still lurking out there is putting government guarantees on private-label securities (PLS). Opponents of Fannie and Freddie almost universally pretend that our disastrous experiment with private-label securitization never happened. The only thing that would have made our 2004-2007 episode with unregulated, toxic PLS worse would have been if those PLS had carried government guarantees. In that case, not only would six million families still have lost their homes, the government would have had to write hundreds of billions of dollars of nonrecoverable checks to investors in those securities to make good on the government guaranty. There still are many, many people talking about how the solution to mortgage reform is an explicit government guaranty on mortgage-backed securities (to lower rates for homebuyers), combined with the “benefits” of bringing “more private capital” into the system. More private capital plus a government guaranty equals government guarantees on PLS. That’s another unworkable system, but don’t be surprised if the idea pops up again. Beyond these unworkable ideas– which as I say are black and white issues and must be defeated–there is a whole spectrum of efficiency along which a final, workable, secondary market reform proposal can settle. For simplicity’s sake, let’s divide reform stakeholders into four groups: homebuyers, the government, investors and financial institutions. For me, the most successful reform outcome would be for the government to set a defined standard of taxpayer protection for the operation of secondary market credit guarantors (a combination of stress-based capital requirements, return limits, and regulation) and for the government then to agree to provide emergency support to credit guarantors who abide by these standards. The resulting strong implicit government guaranty would protect investors who provide capital for funding fixed-rate mortgages, and the efficiencies of this system would be passed along to homebuyers in the form of lower mortgage rates and widely available mortgage credit. This would be a stronger version of the system we had before the financial crisis (the old Fannie and Freddie system, with updated and higher capital requirements, regulated returns, and more effective and less adversarial regulation). You’ll note, though, that “other financial institutions”–i.e., principally banks, don’t really benefit from this. The credit guarantors control fixed-rate mortgage underwriting standards (because they are taking the bulk of the credit risk), and with implied government backing mortgage rates remain low. Most of the fighting over what is called “mortgage reform” today comes from banks who want more control over both how mortgages are underwritten and where mortgage rates end up. (That’s why they’re so intensely focused on getting rid of Fannie and Freddie). The banks have enormous political clout. Under various banners of public benefit– whether it be “protecting the taxpayer,” “bringing more competition to the market” or something else–they will continue to aggressively advocate for systems or features that benefit themselves at homebuyers’ expense. It is much better economic and public policy to have mortgage reform that benefits homebuyers rather than banks. Prospects for economic growth will be hurt by a reform outcome that takes money out of the pockets of low and moderate income homebuyers (also known as consumers) and transfers it to banks. Although a bank-centric reform system would still be “workable,” it’s not what we should be trying to achieve. Thank you for the nuance and that most thorough elaboration. If you’re right about the Urban Istitute, and I have no reason to believe you aren’t right, their strategy of later discovering flaws in their own system so to hand the industry over to the banks would be sinister indeed. Unfortunately, such evil is now par for the course. Thanks, again. Excellent piece as usual… Please speak directly w Mnuchin & Trump (even though I know you said you can’t tell us if you do). Thanks again. So Secretary Mnuchin representing one of the stakeholders, the Government, was a banker. What side of the ledger do you suppose he falls on? The side which provides a system with lower mortgage rates and credit availability or the side that he came from which wants more control over how mortgages are underwritten and priced? Here we go again, https://www.bloomberg.com/news/articles/2017-03-28/fannie-freddie-fix-is-focus-of-senators-push-across-party-lines. Reported that Corker and Warner will be leading the charge in congress for a bipartisan effort. They previously tried and failed to replace the GSE’s. As great it would be, it doesn’t seem like this is a government will arrive at any sort of bipartisan reform, eventually leaving the door for UST and FHFA to act unilaterally. I just hope they choose to do so sooner rather than later, before putting tax payers at risk once there is no capital buffer remaining in 2018. It IS the same Washington Federal case, but having the lead counsel add one affiliated lawyer isn’t a significant development, and in my view doesn’t change in any meaningful way the status of this litigation. Thanks again for all your time & expertise Tim, It’s not often the public has access to a multi year AMA with a former Fortune 50 CFO. Quick question. Given the Congressional meetings on GSE recap taking place (imo:re-laying foundation Ginsburg razed with his bull….dozer) any chance of a partial payment to UST end of March? Even if 10-20% of the 10B impending was kept to collateralize FnF, I’d assume that to be a positive indicative of coming intentions, or would that be a non starter iyEo? My personal opinion is that a partial payment of Fannie and Freddie’s scheduled combined $10 billion net worth sweep payment next Friday is highly unlikely; either the full payment will be made as scheduled or Treasury and FHFA will allow the companies to retain it. As I’ve mentioned in earlier comments, I think it’s most likely that the payment will be made. I believe that Secretary Mnuchin wants to “work the process” on mortgage reform with all parties, including Congress, and many if not most of those parties would object strenuously to Treasury allowing Fannie and Freddie to retain the sweep payments prior to a consensus having been reached– or a firm decision by Treasury– on what to do with the companies going forward. I suspect that Mnuchin would reason that the blowback from cancelling the sweep payments would significantly complicate getting to the right outcome on reform, so he’ll not act to interfere with what’s already been scheduled to occur. So what you are saying is that Mnuchin will let capital deplete as scheduled until action with congress proves successful/unsuccessful? What do you think of putting the payment “on hold”? Making FnF put the payment aside, not using it in anyway, potentially being required to use it to pay the Treasury, until reform attempts go through. This way, he can still make all the same arguments to Congress, while showing that he doesn’t want to act without them. Not quite. What I am predicting–and I could be wrong–is that Mnuchin will not initiate any action with respect to the net worth sweep until he believes he has a plan for mortgage reform that he can implement successfully. I believe he can accomplish mortgage reform administratively. I think he would LIKE to have the support of Congress for what he does, but if Congress can’t, or won’t, back what he thinks is a sensible and the correct way to go forward, I believe he will be prepared to move on his own. And until he gets to that point, I don’t see him doing anything to change the status quo on the sweep, including putting it “on hold.” But we’ll know soon enough–March 31 is nine days away. Nine days is a long time nowadays. It takes only a click to transfer the money, so it can be cancelled at the last minute. A media campaign to discourage shareholders seems to have been launched this week. They are using the noun “Congressional Staffers” as the source of statements declaring that no action will be taken this year by Congress. It is obvious that the fight is heating up. But … ALWAYS something unexpected happens. God is in the details. money made and retained is far easier capital to gather than money to be raised in the capital markets. if the objective is to recapitalize and restructure GSEs, then a great “jumpstart” would be to prime the capital raising effort with an initial capital retention effort. every dollar of capital retained makes that dollar of capital to be raised that much easier. I still am operating under the assumption that “reform, recap and release” of Fannie and Freddie would be accompanied by a reversal of the net worth sweep (hopefully mandated or at least made likely by a court decision, but voluntarily if necessary). If that’s the case, whether the March 31 sweep payment is made or not shouldn’t make a difference to the recapitalization effort (although it will to the potential for a draw caused by a DTA write-down due to tax reform). By my calculation, paying down the senior preferred stock by unwinding the net worth sweep would leave Fannie with $8 billion, and Freddie with $5.5 billion, in senior preferred outstanding at the end of 2016. Were the companies allowed to retain their $5.5 and $4.5 billion respective March 31 sweep payments, they still would have to retire the remaining outstanding senior preferred at some point during the process of their recapitalization and return to private status. thanks for those updated calculations. my hp12c is in a landfill somewhere. but that logic cannot be expressed by treasury on 3/31 even if this is behind its thinking, because it speaks of a game plan (amend spsp agt to get treasury paid in accordance with original deal but no more) that i dont think treasury will want to announce then, in terms of timing and consultations. but we shall see. I agree that logic can’t be expressed publicly; it’s why I think the least potentially damaging path, and thus the most likely, is to stick to the schedule and let the payments come in. We’ll know soon enough. Two problems there: Unconstitutional FHFA, and unconstitutional conservatorship. If FHFA structure is unconstitutional, are all decisions invalid by default? read the brief linked. collins counsel points out that fhfa itself does not dispute that decisions made by an official appointed in violation of the Appointments clause of US const are voidable (for example, whether a potus recess appnt occurred during an actual congressional recess). fhfa argues that the official improperly appointed was never acting in a lawful capacity, but that until fhfa structure is determined to be unconst, fhfa director has been acting in lawful capacity. collins counsel goes next step and argues that fhfa director cant be found to be acting in a lawful capacity if the structure of the office itself is unconst. indeed, the graver const issue is for a director to act not subject to separation of powers oversight, such as fhfa, as opposed to some official whose appointment was subject to what is often a technical oversight. this is the core collins argument, and they do a good job. whether a federal district judge in houston buys it is another matter. PS no judge wants to void potentially innumerable director decisions with a finding that the office is unconst. structured. which is the attraction to a judge of choosing as a remedy, if the removal provision is found unconst, of excising the unconst removal provision from statute on a prospective basis. collins proposes a more palatable remedy for judge atlas in event she decides fhfa director removal provision is unscont: void the prior fhfa decision to enter into NWS and afford the fhfa director, now subject to removal, the opportunity to ratify it. one may think this will be too little of a remedy from the Ps perspective, but it is also a more palatable remedy for a judge to order. from a political point of view, it does have the effect of putting the trump admin imprimateur on the NWS if a fhfa director subject to removal ratifies the NWS (which is what the separation of powers doctrine is really intended to do, make executive agency actions subject to potus oversight). Thank you for the very informative post as usual. The information you provide always cuts straight to the meat without any BS. Curious as to what your thoughts are on private-label mortgage securitizations today? Will they ever regain some competitive ground against the GSE’s? Seems like they are starting to make a comeback (although still only accounts for ~1% of total market). The future of the market for private-label securities (PLS) will depend in large part on what happens with Fannie and Freddie. If the companies are “wound down and replaced” (which I don’t expect), PLS will very likely become more popular again, although I wouldn’t expect them to get anywhere near to the market share they enjoyed in the 2004-2007 period, when they effectively were a production line for aggregating, pooling and “slicing and dicing” low-quality loans whose risk was grossly underestimated by the credit rating agencies. Investors have figured that game out, and aren’t inclined to try to play it again. In a world without Fannie and Freddie, the future of PLS would depend on what the dominant form of mortgage financing turned out to be. There are several “reform” proposals that envision some type of government corporation that would determine what sort of mortgage credit enhancement could qualify for an explicit government guaranty. I suspect many people pushing for this would like to see government guarantees be made available to PLS issuers. If that were ever to happen it would be shameful, but it would give PLS production a tremendous boost, at the expense of the government having to write large, non-recoverable checks on many of these PLS in the future. I don’t think government guarantees for PLS are likely, though. And absent such a guaranty, and with Fannie and Freddie remaining as the primary issuers of MBS, I would expect PLS issuance to stay under 5 percent (and perhaps well under that figure) for the foreseeable future. Do you have any comments or thoughts regarding the possibility of Pagliara getting access to the GSEs’ books and records? Will the information provided by the GSEs greatly change the narrative of the bailout? As always, thanks again for your thoughtful opinion and comments. No, I really don’t have any insight into that. I hope he does. Many of the post-conservatorship accounting entries made to book non-cash expenses involved dubious assumptions or judgments; it certainly would be interesting to see what the auditors work papers say about them. You have taught us again to use and understand Gaussian distribution, Einstein’s relativity, godel’s incompleteness and most relevant what is common sense. Tim – I am a former mortgage and asset-backed specialist with a large institutional asset management firm and was an early pioneer of identifying credit problems within mortgage-related securitizations. The lesson learned time and again is that he who has the deal structure (and collateral) correctly modeled, and who knows how to stress the collateral accurately, will gain the necessary knowledge to avoid investment mistakes. Or in FnF’s case, from an Issuer’s viewpoint, to avoid issuance mistakes. Your analysis is excellent and a valuable service to the future of the housing industry. I am quite confident Mnuchin and his staff will be focused on this analysis. He’s seen this type of industry sleight of hand a thousand times and I trust will have the integrity to take a stand against it. I feel like the end of this post should have contained *drops the Mic*. Very detailed and well thought-out response to another overly biased piece by one of the usual suspects. great work as usual. many thanks. i wonder if you have considered uploading your worksheets to a dropbox file, accessible from this site? i have no idea if they are in a form that would be useful for others (they certainly would be beyond my ken), but that might be a way in which you could further distinguish the usefulness of your “real world” analysis from the Parrott “institute make-believe world” analysis. I am an “old school” analyst; I do analytical work such as was required for this piece in hand-written columns on 8 1/2 x 11 inch lined paper, which I check and double-check with an HP-12C calculator. I don’t even use Excel. I got comfortable doing that in my early days at Fannie, and as I rose higher in the company I always had staff who were much better at computer-based econometric analysis than I was, and also were whizzes at Excel and PowerPoint. (I never learned to use them, although I probably should have, and I certainly could do so now, but always find an excuse not to). Finally, I’d add that the main distinction of my analyses from those of people supporting bank-centric alternatives is that I give details, and they almost never do. They stay at the 36,000 foot level, with generalities, where the operational gaps and contradictions in their proposed systems aren’t apparent. Excellent writing, really enlightening. Thank you Tim. I love that sentence. It is time that those participating in the housing reform debate assume that the life of people depends on the outcome of the reform, and stop acting to please the “establishment” that hires them to lobby. Coincidentally, all those non-experience-backed approaches come from “institutes” that have large overheads and that pay huge salaries to the so-called “thinkers” . One wonders where all the money comes from to pay such expense. Most people still believe that fiction. Thank you for another informative post! I hope Mnuchin makes the right choice. Mark Calabria, formerly of the Cato Institute and now chief economist to Vice President Pence, is a staunch opponent of Fannie and Freddie. I believe the article you are referring to is the one he submitted for the Urban Institute’s “Housing Finance Reform Incubator” series (for which I also submitted an essay), titled “Coming Full Circle on Mortgage Finance.” The “full circle” he advocates in that article is turning Fannie and Freddie into bank holding companies, and returning to what he calls the “originate to hold” model– that is, having all, or almost all, single-family mortgages made and held by commercial banks. His recommendation is premised on his contention that, “Securitization is a false god that failed us.” To make this conclusion, however, he has to conflate private-label securitization (which really was, and is, a “failed business model”) and securitization as it has been and is done by Fannie and Freddie. The two are totally different, and the fact that Calabria incorrectly treats them as being the same in my view invalidates his analysis. Which brings me to your question about how Calabria’s views may differ with Mnuchin’s. Mnuchin hasn’t said that much about Fannie and Freddie, although at his confirmation hearing he did say, “I think Fannie and Freddie have been well run without creating risk to the government and they played an important role. I believe these are very important entities for liquidity…” That statement certainly doesn’t square with Calabria’s opinion. More to the point, though, there is a tremendous difference between Calabria and Mnuchin in market knowledge and experience. In his paper, Calabria gets the history of the financial crisis wrong, and his prescription for the future is more based on hope (and ideology) than experience. Mnuchin is a pragmatist, and he knows how the mortgage market works. I don’t see Calabria’s wishful thinking having much effect on what Mnuchin wants to or will do in guiding the Trump administration’s actions on mortgage reform. Thank you so much for responding. You have no idea how helpful it is to have someone who truly understands the issues explain them for average folks to understand.